Following on from the cinematic trailer released by Ubisoft at E3 2018 this week for the upcoming and highly anticipated pirate adventure game Skull & Bones, the game’s developers Ubisoft Singapore have released a new gameplay walk-through entitled “The Hunting Grounds”. 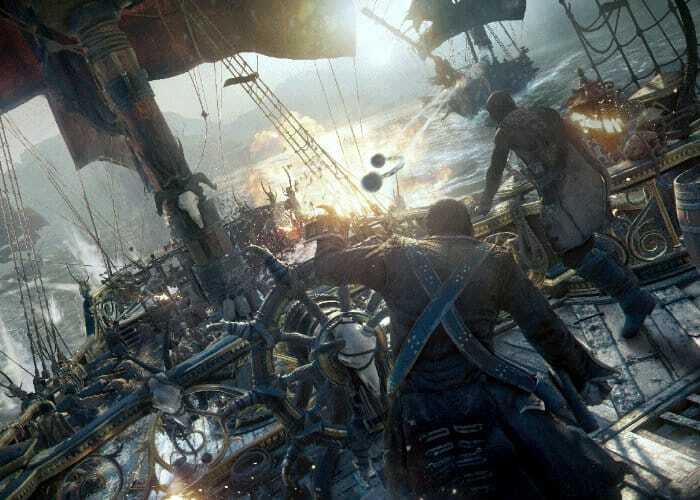 Providing a quick glimpse at what you can expect from the multiplayer open world environment that the Skull & Bones game will provide players. Skull & Bones is the first video game led by developer Ubisoft Singapore, which based its concept on the naval battles of Assassin’s Creed IV: Black Flag. Towards the end of the development process players will be able to aid in the fine-tuning of its live-service aspects with the community program, “Keepers of the Code”. Watch a demonstration of the gameplay you can expect from the new pirate adventure game currently under development. Skull & Bones will be officially launching on the PlayStation 4, Xbox One and Windows PC systems sometime during 2019. As soon as more information is made available and a confirmed release date announced we will keep you up to speed as always.